Join other freelancers across Australia next Tuesday for the inaugural MEAA virtual morning tea. 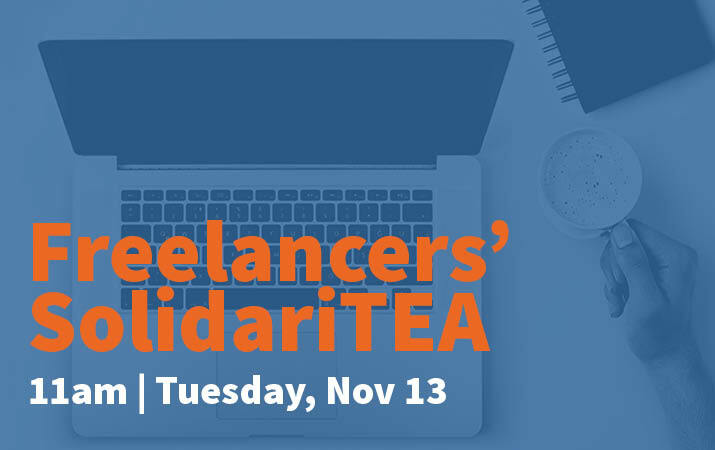 Hosted by the MEAA National Freelance Committee, SolidariTEA will include a discussion and presentations. You can join the conversation by using the ZOOM video conferencing system or simply by dialing in on your phone – details on how to dial-in will be provided when you register. The format will be a panel discussion of freelancers followed by a Q&A on any industrial questions that you have. This is a great opportunity to hear the latest developments around freelancing as well as getting answers to your questions about your rights as a freelancer. For more information call Jenny Farrar 0415 995 745. You are welcome to email your questions in advance to: jenny.farrar@meaa.org – simply enter the words SolidariTEA Question into the subject line. Please consider signing and sharing this Change petition set up by Ginger Gorman. Many freelance journalists have seen their work being ripped off by unscrupulous publishers and sadly by other journalists. Despite being a clear copyright breach in many instances, it’s up to the person whose work has been copied to prove the case. For large publishers, this means spending time, resources and money on prosecuting a case; for freelance journalists, it’s usually not financially feasible. Those who blatantly copy know they can get away with it – because they have for so long. It’s time to call them out on this unethical and unfair behaviour. Many thanks to freelance journalist Jess Mudditt who has compiled this list of Job sites, with comments from Freeline members included. Let us know if you’ve got suggestions / changes / additions / more comments! Freelance Collective $9 a month Relatively new & gathering speed. OK source of job leads, but a first-in best- dressed system – you have to be on the ball. Also a good source of information – members pretty good at sharing information and advice. (More a forum than a job board ). Cover all freelancers (designers, photographers and so on) including writers. If you do sign up, join the associated Facebook group. Members post opportunities on there so it’s a useful way to pick up work and a good adjunct to the website listing. Rachel’s List $25 a year for approved freelancers You must be approved by the Rachel’s List team and have to demonstrated that you have at least three years experience in the industry. Once you’re on the list, it’s awesome; lots of genuine, vetted freelance jobs posted each week for decent rates. There’s a fair bit of competition but it’s a very good service. Linkedin Free for the basic version which has limited search function but still useful. Premium costs $32.99 per month and lets you message anyone & has unlimited search Some great gigs that come via the person hiring. A free premium trial is provided if you do journo training. (how to find training??). Freeline Free to join – it’s by invitation after filling out a form. A forum for freelancers to discuss all manner of topics. Freelancers often tell others about writing/editing opportunities. There is also a Facebook group and a monthly coffee morning in Sydney and events in Melbourne. Contently Free; takes a flat 15% of fee from client; pays immediately in US$ into Paypal on story submission. Average $300 – $500 USD for short articles. Useful as a portfolio aggregator as well as for jobs. Do the 10 minute online training course to be eligible so that editors know you’re available. Hit and miss on getting added to a content team. Upwork Charges a freelancer service fee, taken as a percentage of your earnings on Upwork. Sliding fee based on lifetime billings with each client (across all hourly and fixed-price contracts): 20% for the For example, if you agree to a $1,000 price for a job with a new client, you will be billed 20% on the first $500 and 10% on the remaining $500.first $500 you bill your client across all contracts with them; 10% for total billings with your client between $500.01 and $10,000; 5% for total billings with your client that exceed $10,000 Total nightmare to begin with but once you’ve got the hang of it there are some great jobs to be had that actually pay well. I currently have one client who pays $1 per word and have had others previously paying $US85 per hour. Plus if you need cash flow it’s a blessing as the payment goes through in about five days after you complete a job. The Loop $5 a month to upgrade to pro to ‘stand-out’ for job ads. Well-paid jobs can be found on the gig board. Job listings are for copywriters, designers etc. Newsmodo Freelancers enjoy free use of Newsmodo. We negotiate the price for commissioning a story on your behalf with the client. 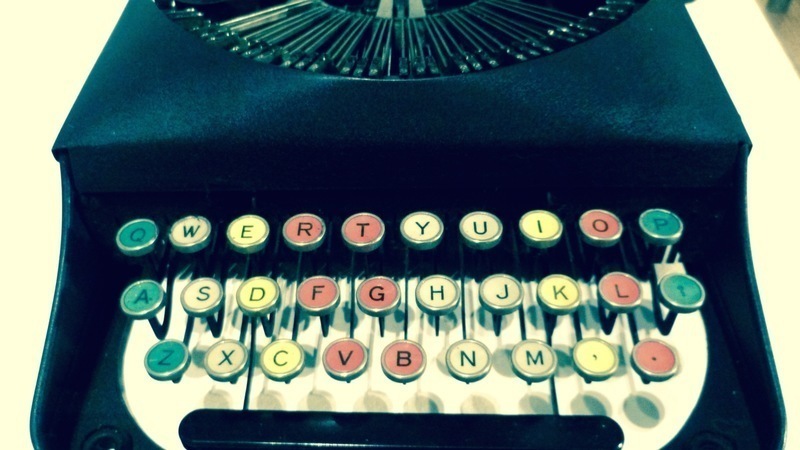 A good source of writing gig for journalists but sign-up is more complicated than the Freelance Collective. Some say not so professional either. Commtract Free to join. It started 6 months ago, they vet all applications and only take those with 3+ years’ experience, once you are on there you are offered corporate and govt writing jobs. Writerfind You can pay either by an annual flat fee or by commission. The flat fee is just $109 for a one-year listing – covered easily by your first commission. The commission (if you choose this option rather than the flat fee) is 10% of your first three months’ income from work obtained from each client via Writerfind. Well-paid jobs can be found. Job listings are for copywriters, designers. Airtasker Free to join Everyday jobs, though mostly low-paying, for rewrites, proofreading design. Freelance Rates: What do writers get paid in Australia? If you’re part of the fascinating freelance journalism discussions happening on the Freeline google group – you’ll know that the whole What should I charge? question comes up again and again. Short answer: Most decent publications pay experienced senior journos upwards of 80c per word. 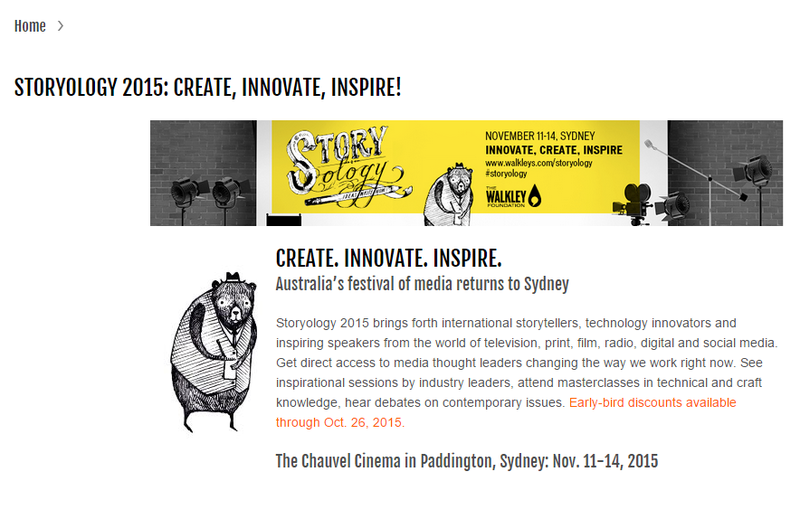 Content writers and corporates pay $80 – $150 an hour plus. But there’s lots of hobbyists out there who are happy with 25c a word. The verdict from the pros?.. Leave the cheap jobs to the hobbyists. If you’re good and you’re experienced and you can meet a brief to deadline, you should be able to command a professional rate. Australian Writers Marketplace – for more than a decade, the Queensland Writer’s Centre has produced this monumental tome which contains outlets and pay rates for writers around Australia. $50 a year — but just one published piece and you’ve earned your money back and then some!